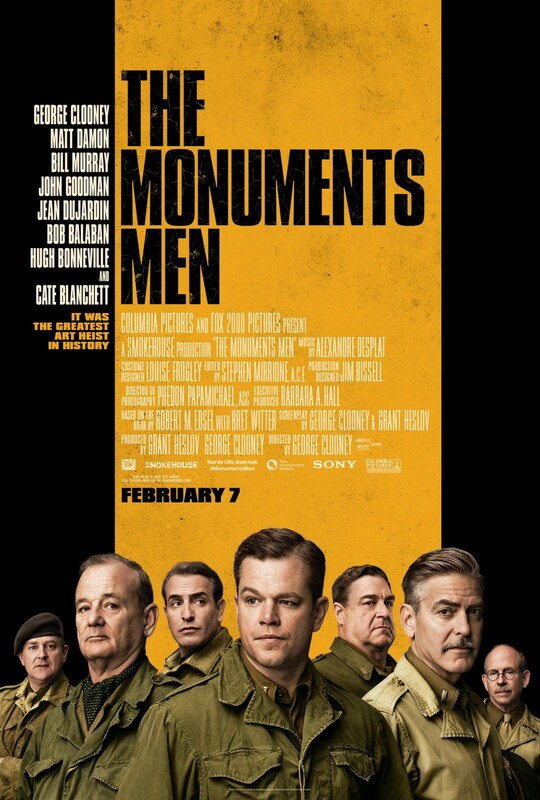 If you haven’t seen the trailer for The Monuments Men, then please, watch it now… Then, come back, ok? Great! I love historical movies and art, so this movie is perfect for me. Also, the cast is amazing. I love this period in history! And also, it won’t hurt that George Clooney and Matt Damon are in it together. I’ve been a fan of their stuff since the “Oceans” movies. Thrilled to see this movie! Don’t go often so I’m glad when a movie appears worth it! I love all these actors…I can’t wait to see this movie! You had me at Matt Damon! Yum! Plus art?!?!? Yep! Ha ha! Lord Grantham! Going to see this tonight with my husband! Have you read the true story? Very interesting stuff! I’m weary about how Hollywood will have changed it. They always do. Can’t argue about the dreamy cast though! I like how it is a true story! It’s great to see a story like this in the theaters.